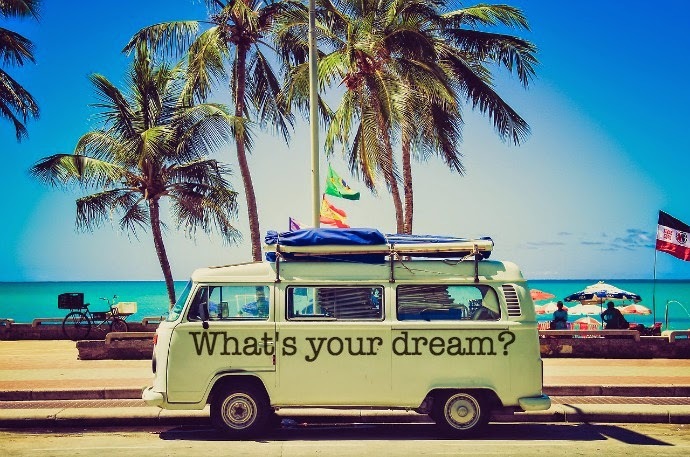 What's Your Dream? | Life Love and Hiccups: What's Your Dream? My dream life tends to be seasonal and changes depending on what the weather is like in any given month. When it is a stinking hot hair frizzer of a day, I dream about packing up the family and moving to a chalet in a village somewhere cold, pretty and snowy with an open fireplace and lots of twinkle lights. That dream is fairly short lived as I can't stand the cold and it is easier to go and hang in the freezer section of my local supermarket for a while rather than try and convince my family of boys to move somewhere where their testicles will be non existent for much of the year... if you know what I mean. In Autumn I am all about inner city terrace houses on tree lined streets with lots of honey coloured exposed brick, a cafe or 3 at the end of the street and lots of twinkle lights. Yes clearly I have a thing for twinkle lights. In Spring and Summer, I want to be near the beach. Ideally I would love to live in Bali but I have Buckley's of getting the family to move there so my next location of choice would be Byron Bay. My youngest son has a dream to live there too one day, by the beach in a hotted up Winnebago. My dream is a little more luxurious than that. I would love a beach side property with loads of lush green land. I would have separate accommodation that friends and family could come and stay in as well as all the fabulous people willing to pay me the big bucks I need to fund my cruisy lifestyle. 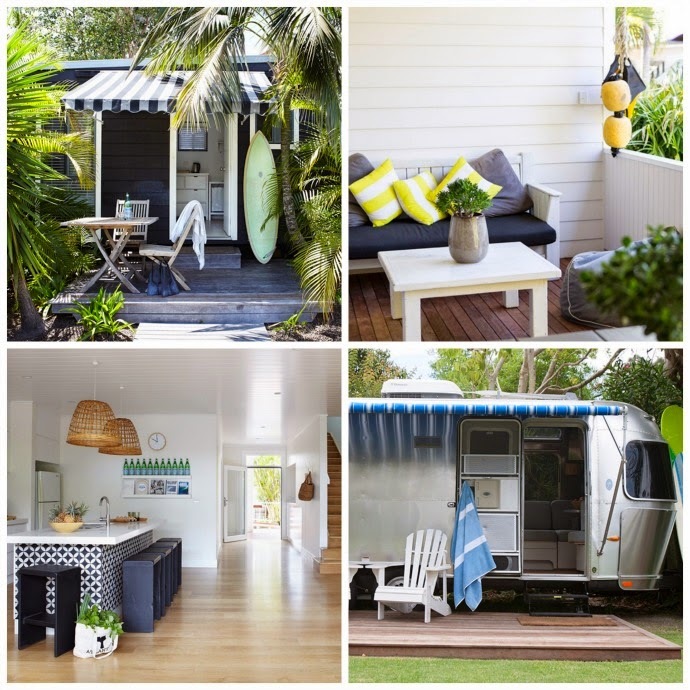 I would have a little airstream caravan outback that I would use as my own personal lady cave where I could write and create whilst the hubby and the boys are off surfing. 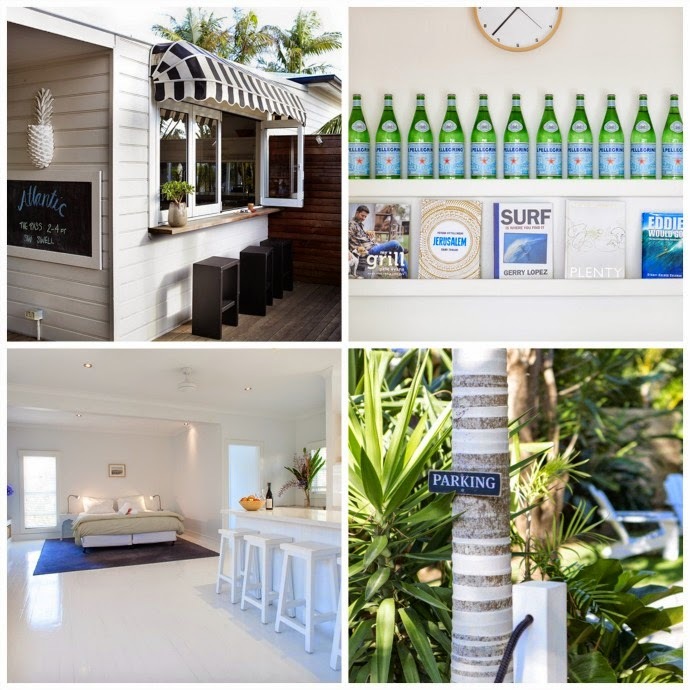 Our guests are welcome to tap on the door when they are feeling thirsty and join me for a caprioska or G&T on the little deck. Kimberly Amos is basically living my dream life. 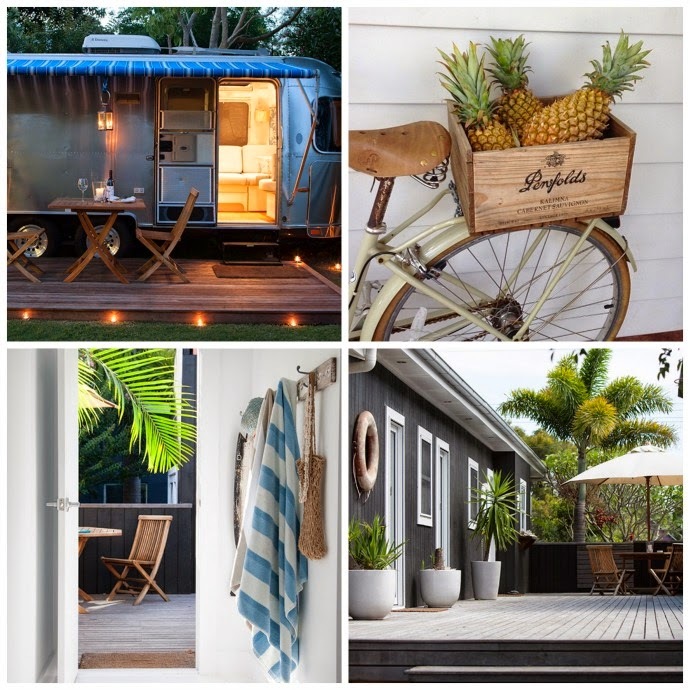 She has the lush landscape, the fabulous bungalows AND the airstream in Byron Bay. 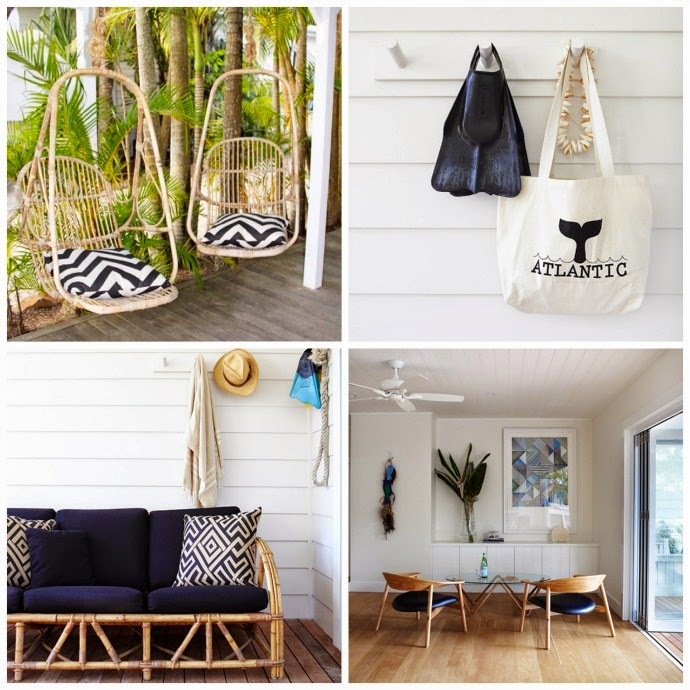 Kimberly and Stephen Eakin are the lucky ducky owners of Atlantic Byron Bay - the boutique hotel of my dreams. I mean seriously... have you ever? How totally swoon worthy is this place!!! I'm kind of hoping that one day I can swoop in there and offer these guys a shitload of money to take this property off their hands. I kind of expect they will put up a bit of a fight because, well as IF you would let this property go without a tussle. But eventually they would relinquish knowing that their beloved estate is going to a very loving home. We would drink G&T's together on the day they hand over the keys and I would carry their pillows and bags to their car for them as we say goodbye and wave them onto a happy new life. Then Carl and I would move our stuff in to the main house and I'd allocate a bungalow to each of the boys and a plot at the end of the block for Flynn to park his Winne. Yep, I've got it all figured out. WHAT???? A girl's gotta have a dream right? In the meantime, I am saving my pennies to go and stay in that airstream so I can secretly measure it up and see if I could fit in a gin bar next to my desk. Do you have a dream? Care to share it with us?